The Diva of Days of Our Lives: Lauren Koslow interview ready for download! 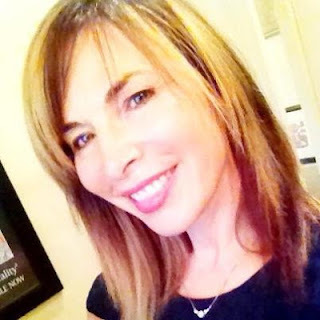 We had another epic blogtalkradio interview with Days of our Lives actress, Lauren Koslow (Kate.) Ian Buchanan (Ian, Days and Duke from General Hospital) called in to surprise Lauren. Find out the story behind Salem's hottest couple, Kate and Rafe. So fun and awesome interview. I enjoy the Kate character but not always..she really can be a wicked witch sometimes..lol but Lauren Koslow is delightful really. She also seems very exited about the Kate/Rafe story, not a big fan of Rafe (so boring most of the time) but i am very happy for Kate to have some story and screen time ! And so sweet of Ian Buchanan to be here for this interview, it is kind of weird to know him and Lauren did not see much of each other since he left Days..sad. I enjoyed him as the Ian character on Days (so wasted potential..) but i am happy to see him again as Duke on GH, by the way GH is on fire these days..their ratings are just great. And Days writing is kind of good right now (despite some inconsistencies but oh well could be worse) so it is just great that both actors enjoy their work right now on both soaps. Great great interview Diva, thank you and i am not even the big Kate fan ever but LK is awesome. I've been a Safe fan for ages, but I'm loving Kate & Rafe together. They're hot on screen. Kate will definitely liven up Rafe's character, so I say bring it on! I'm also thrilled that Chloe is back and causing trouble. Bristen is a fun pair to watch, too. I started watching Days when Passions star Eric Martsolf moved to Salem, followed by Galen Gering and Lindsay Hartley. I think these 3 things have put Salem back on the map, so hopefully they'll continue moving in this direction.